Clash Media Group c/o Music Republic Ltd. Clash Media Group c/o Music Republic Ltd.  (”Clash” or “we”) are committed to protecting and respecting your privacy. We are the data controller and responsible for your personal data. Clash Media Group c/o Music Republic Ltd. may change this policy from time to time by updating this page. This policy is effective from 25th May 2018. You can also opt-out of communications via email from Clash by modifying your email or SMS subscriptions by clicking on the unsubscribe link or following the opt-out instructions included in the footer of our mailing list. • Financial and credit card information. • Information about your visit, including the full Uniform Resource Locators (URL), clickstream to, through and from our site (including date and time), products you viewed or searched for' page response times, download errors, length of visits to certain pages, page interaction information (such as scrolling, clicks, and mouse-overs),methods used to browse away from the page, and any phone number used to call our customer service number. • We use your name, contact information, subscription and financial information to carry out our obligations arising from any purchases you make (including the handling of complaints, performance of post-sales services, administration of orders and accounts and shipping) and to provide you with the information, products and services that you request from us. • We use your name, email address and information about your completed purchases to provide you with emails containing new magazine issue covers, "Cover Alerts", only on the magazines that you have purchased from us in the past. This is in our legitimate interest to develop our products and services and grow our business. • Publishers may also contact you by electronic means if you have consented to this (see below for Disclosure of your information). If you do not want us to use your data in this way, please ensure that the relevant boxes are left unticked when you proceed to the checkout). • We use your name and contact information to contact you for market research purposes by email, phone, fax or mail. This is in our legitimate interest to develop our products and services and grow our business. • We may use your subscription, technical information and information about your visit to customise the website according to your interests. This is necessary in our legitimate interests to grow our business. • We use your name, subscription and contact information to notify you about changes to our service. This is necessary for the performance of any contract we have with you and to comply with our legal obligations. • We use your technical information to ensure that content from our site is presented in the most effective manner for you and for your computer. This is necessary in our legitimate interests to grow our business. • We use your technical information and information about your visit for analysis, testing, research, statistical and survey purposes. This is necessary for our legitimate interests (for running our business, provision of administration and IT services, network security, to prevent fraud and in the context of a business reorganisation or group restructuring exercise). • We use your technical information to allow you to participate in interactive features of our service, when you choose to do so. This is in our legitimate interest to develop our products and services and grow our business. • We use your name, contact, subscription, financial and technical information as part of our efforts to keep our site safe and secure. This is necessary to comply with our legal obligations and for our legitimate interests (running our business, network security and to prevent fraud). • We use your name, contact, subscription and technical information as well as information about your visit to measure or understand the effectiveness of advertising Newsstand serves to you and others, and to deliver relevant advertising to you. This is necessary for our legitimate interests (to study how customers use our products/services, to develop them, to grow our business and to inform our marketing strategy). • We use your name, contact, subscription and technical information as well as information about your visit to make suggestions and recommendations to you and other users of our site about products that may interest you or them. This is necessary in our legitimate interests to grow our business. Customers can change their marketing preferences at any time by contacting us direct via the means outlined above. You agree that, by consenting to us sharing your data with the publisher(s) of the magazines that you purchase, those publishers may contact you in relation to other products and services including relevant content, offers and promotions. 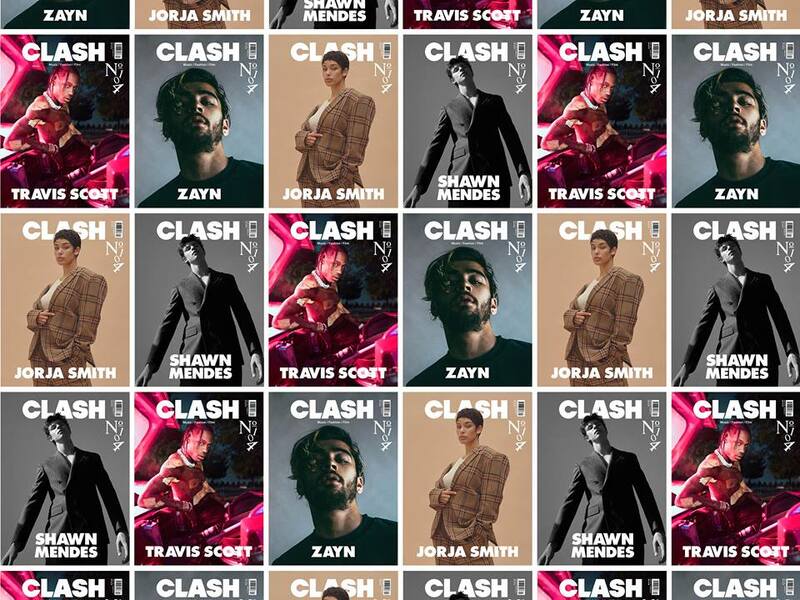 • If Clash Magazine c/o Music Republic Ltd or substantially all of its assets are acquired by a third party, in which case personal data held by it about its customers will be one of the transferred assets. To determine the appropriate retention period for personal data, we consider the amount, nature, and sensitivity of the personal data, the potential risk of harm from unauthorised use or disclosure of your personal data, the purposes for which we process your personal data and whether we can achieve those purposes through other means, and the applicable legal requirements. By law we have to keep basic information about our customers (including name, contact, financial and subscription information) for six years after they cease being customers for tax purposes. We will only retain your technical information and information about your visit for three years after that visit. Basket Information (if not signed in), enabling previous products that you have added to your basket to be remembered. Cookie removed when a successful login has been completed, or a period of one year, whichever is sooner.